New Malden is a town and shopping centre in the south-western London suburbs, mainly within the Royal Borough of Kingston upon Thames and partly in the London Borough of Merton. It gets its name from “Old Malden” which is about 2 miles from New Malden, whose origins go back to Anglo Saxon times. 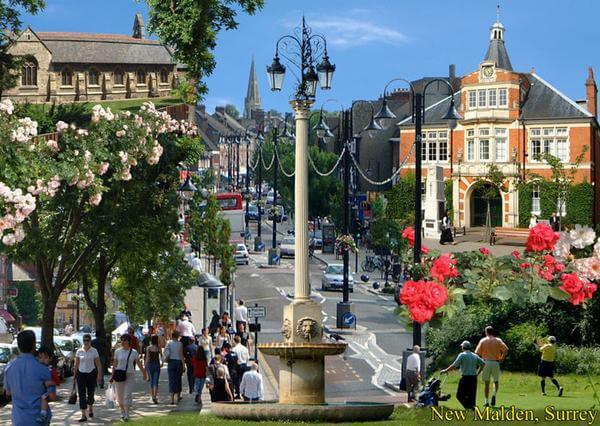 New Malden attracts many families so loft conversions in New Malden are increasingly popular. Touchstone Lofts have done many loft conversions in New Malden and have many delighted customers here. If you are considering a loft conversion, contact us today for a free quotation. A loft conversion in New Malden will add value to your home. With over 32 years of experience Touchstone Lofts have converted every type of loft from terrace to bungalow to multi-million pound mansions. In house design and architectural expertise, we can conduct all planning applications and we can attend to all your plumbing and heating requirements. Touchstone lofts have invested in creating a Loft Showhouse which is very local to you in New Malden. You can view your loft conversion at this showroom. Here you can see four different loft conversions, stairs, “Velux” windows, Dormers, four bath/shower/wet rooms. You can view the dormers internally and externally, you can see the extra headroom a dormer can add to your loft conversion in New Malden.